The following Practical Test Standards are an edited version of FAA-S-8081-14A. For clarity information relating to Single Engine Sea and Multi-Engine practical tests has been deleted. To view a complete pdf version of the original document suitable for printing click here. Material in FAA-S-8081-14A will be effective August 1, 2002. All previous editions of the Private Pilot— Airplane Practical Test Standards will be obsolete as of this date. The Private Pilot— Airplane Practical Test Standards (PTS) book has been published by the Federal Aviation Administration (FAA) to establish the standards for private pilot certification practical tests for the airplane category, single-engine land and sea; and multiengine land and sea classes. FAA inspectors and designated pilot examiners shall conduct practical tests in compliance with these standards. Flight instructors and applicants should find these standards helpful during training and when reparing for the practical test. The Flight Standards Service of the Federal Aviation Administration (FAA) has developed this practical test book as the standard that shall be used by FAA inspectors and designated pilot examiners when conducting private pilot— airplane practical tests. Flight instructors are expected to use this book when preparing applicants for practical tests. Applicants should be familiar with this book and refer to these standards during their training. Information considered directive in nature is described in this practical test book in terms, such as “shall” and “must” indicating the actions are mandatory. Guidance information is described in terms, such as “should” and “may” indicating the actions are desirable or permissive, but not mandatory. The FAA gratefully acknowledges the valuable assistance provided by many individuals and organizations throughout the aviation community who contributed their time and talent in assisting with the revision of these practical test standards. This practical test standard may be downloaded from the Regulatory Support Division’s, AFS-600, web site at http:// afs600. faa. gov. Subsequent changes to this standard, in accordance with AC 60-27, Announcement of Availability: Changes to Practical Test Standards, will also be available on AFS-600’s web site and then later incorporated into a printed revision. This publication can be purchased from the Superintendent of Documents, U. S. Government Printing Office, Washington, DC 20402. Title 14 of the Code of Federal Regulations (14 CFR) part 61 specifies the AREAS OF OPERATION in which knowledge and skill must be demonstrated by the applicant before the issuance of a private pilot certificate or rating. The CFRs provide the flexibility to permit the FAA to publish practical test standards containing the AREAS OF OPERATION and specific TASKs in which pilot competency shall be demonstrated. The FAA shall revise this book whenever it is determined that changes are needed in the interest of safety. Adherence to the provisions of the regulations and the practical test standards is mandatory for the evaluation of private pilot applicants. The Private Pilot— Airplane Practical Test Standards includes the AREAS OF OPERATION and TASKs for the issuance of an initial private pilot certificate and for the addition of category ratings and/ or class ratings to that certificate. AREAS OF OPERATION are phases of the practical test arranged in a logical sequence within each standard. They begin with Preflight Preparation and end with Postflight Procedures. The examiner, however, may conduct the practical test in any sequence that will result in a complete and efficient test; however, the ground portion of the practical test shall be accomplished before the flight portion. TASKs are titles of knowledge areas, flight procedures, or maneuvers appropriate to an AREA OF OPERATION. The abbreviation( s) within parentheses immediately following a TASK refer to the category and/ or class aircraft appropriate to that TASK. The meaning of each abbreviation is as follows. NOTE: When administering a test based on sections 1 and 2 of this PTS, the TASKs appropriate to the class airplane (ASEL, ASES, AMEL, or AMES) used for the test shall be included in the plan of action. The absence of a class indicates the TASK is for all classes. NOTE is used to emphasize special considerations required in the AREA OF OPERATION or TASK. REFERENCE identifies the publication( s) that describe( s) the TASK. Descriptions of TASKs are not included in these standards because this information can be found in the current issue of the listed reference. Publications other than those listed may be used for references if their content conveys substantially the same meaning as the referenced publications. These practical test standards are based on the following references. AC 61-67 Stall and Spin Awareness Training. The FAA requires that all private pilot practical tests be conducted in accordance with the appropriate private practical test standards and the policies set forth in the INTRODUCTION. Applicants shall be evaluated in ALL TASKS included in each AREA OF OPERATION of the appropriate practical test standard, unless otherwise noted. An applicant, who holds at least a private pilot certificate seeking an additional airplane category rating and/ or class rating at the private pilot level, shall be evaluated in the AREAS OF OPERATION and TASKS listed in the Additional Rating Task Table. At the discretion of the examiner, an evaluation of the applicant’s competence in the remaining AREAS OF OPERATION and TASKs may be conducted. If the applicant holds two or more category or class ratings at least at the private level, and the ratings table indicates differing required TASKS, the “least restrictive” entry applies. For example, if “ALL” and “NONE” are indicated for one AREA OF OPERATION, the “NONE” entry applies. If “B” and “B, C” are indicated, the “B” entry applies. In preparation for each practical test, the examiner shall develop a written “plan of action.” The “plan of action” shall include all TASKs in each AREA OF OPERATION, unless noted otherwise. If the elements in one TASK have already been evaluated in another TASK, they need not be repeated. For example, the “plan of action” need not include evaluating the applicant on complying with markings, signals, and clearances at the end of the flight, if that element was sufficiently observed at the beginning of the flight. Any TASK selected for evaluation during a practical test shall be evaluated in its entirety. The examiner is not required to follow the precise order in which the AREAS OF OPERATION and TASKs appear in this book. The examiner may change the sequence or combine TASKs with similar Objectives to have an orderly and efficient flow of the practical test. For example, Radio Communications and ATC Light Signals may be combined with Traffic Patterns. The examiner’s “plan of action” shall include the order and combination of TASKs to be demonstrated by the applicant in a manner that will result in an efficient and valid test. The examiner is expected to use good judgment in the performance of simulated emergency procedures. The use of the safest means for simulation is expected. Consideration must be given to local conditions, both meteorological and topographical, at the time of the test, as well as the applicant’s workload, and the condition of the aircraft used. If the procedure being evaluated would jeopardize safety, it is expected that the applicant will simulate that portion of the maneuver. 11. other areas deemed appropriate to any phase of the practical test. Although these areas may not be specifically addressed under each TASK, they are essential to flight safety and will be evaluated during the practical test. In all instances, the applicant’s actions will relate to the complete situation. 3. be capable of performing all AREAS OF OPERATION appropriate to the rating sought and have no operating limitations, which prohibit its use in any of the AREAS OF OPERATION, required for the practical test. An appropriately rated flight instructor is responsible for training the private pilot applicant to acceptable standards in all subject matter areas, procedures, and maneuvers included in the TASKs within each AREA OF OPERATION in the appropriate private pilot practical test standard. Because of the impact of their teaching activities in developing safe, proficient pilots, flight instructors should exhibit a high level of knowledge, skill, and the ability to impart that knowledge and skill to students. Throughout the applicant’s training, the flight instructor is responsible for emphasizing the performance of effective visual scanning and collision avoidance procedures. The examiner conducting the practical test is responsible for determining that the applicant meets the acceptable standards of knowledge and skill of each TASK within the appropriate practical test standard. Since there is no formal division between the “oral” and “skill” portions of the practical test, this becomes an ongoing process throughout the test. Oral questioning, to determine the applicant’s knowledge of TASKs and related safety factors, should be used judiciously at all times, especially during the flight portion of the practical test. Examiner’s shall test to the greatest extent practicable the applicant’s correlative abilities rather than mere rote enumeration of facts throughout the practical test. If the examiner determines that a TASK is incomplete, or the outcome uncertain, the examiner may require the applicant to repeat that TASK, or portions of that TASK. This provision has been made in the interest of fairness and does not mean that instruction, practice, or the repeating of an unsatisfactory task is permitted during the certification process. When practical, the remaining TASKs of the practical test phase should be completed before repeating the questionable TASK. On multiengine practical tests where the failure of the most critical engine after lift off is required, the examiner must give consideration to local atmospheric conditions, terrain, and type of aircraft used. However the failure of an engine shall not be simulated until attaining at least VSSE/VYSE and at an altitude not lower than 400 feet AGL. During simulated engine failures on multiengine practical tests the examiner shall set zero thrust after the applicant has simulated feathering the propeller. The examiner shall require the applicant to demonstrate at least one landing with a simulated-feathered propeller with the engine set to zero thrust. Throughout the flight portion of the practical test, the examiner shall evaluate the applicant’s use of visual scanning and collision avoidance procedures. 5. demonstrate single-pilot competence if the aircraft is type certificated for single-pilot operations. The tolerances represent the performance expected in good flying conditions. If, in the judgment of the examiner, the applicant does not meet the standards of performance of any TASK performed, the associated AREA OF OPERATION is failed and therefore, the practical test is failed. The examiner or applicant may discontinue the test at any time when the failure of an AREA OF OPERATION makes the applicant ineligible for the certificate or rating sought. The test may be continued ONLY with the consent of the applicant. If the test is discontinued, the applicant is entitled credit for only those AREAS OF OPERATION and their associated TASKs satisfactorily performed. However, during the retest, and at the discretion of the examiner, any TASK may be re-evaluated, including those previously passed. 1. Any action or lack of action by the applicant that requires corrective intervention by the examiner to maintain safe flight. 2. Failure to use proper and effective visual scanning techniques to clear the area before and while performing maneuvers. 3. Consistently exceeding tolerances stated in the Objectives. 4. Failure to take prompt corrective action when tolerances are exceeded. When a notice of disapproval is issued, the examiner shall record the applicant’s unsatisfactory performance in terms of the AREA OF OPERATION and specific TASK( s) not meeting the standard appropriate to the practical test conducted. The AREA( s) OF OPERATION/ TASK( s) not tested and the number of practical test failures shall also be recorded. If the applicant fails the practical test because of a special emphasis area, the Notice of Disapproval shall indicate the associated TASK. i. e.: AREA OF OPERATION VIII, Maneuvering During Slow Flight, failure to use proper collision avoidance procedures. CRM refers to the effective use of all available resources: human resources, hardware, and information. Human resources include all groups routinely working with the cockpit crew or pilot who are involved with decisions that are required to operate a flight safely. These groups include, but are not limited to dispatchers, cabin crewmembers, maintenance personnel, air traffic controllers, and weather services. CRM is not a single TASK, but a set of competencies that must be evident in all TASKs in this practical test standard as applied to either single pilot operations or crew. Throughout the practical test, the applicant is evaluated on the use of an appropriate checklist. Proper use is dependent on the specific TASK being evaluated. The situation may be such that the use of the checklist, while accomplishing elements of an Objective, would be either unsafe or impractical, especially in a single-pilot operation. In this case, a review of the checklist after the elements have been accomplished, would be appropriate. Division of attention and proper visual scanning should be considered when using a checklist. Numerous studies indicate that many accidents have occurred when the pilot has been distracted during critical phases of flight. To evaluate the applicant’s ability to utilize proper control technique while dividing attention both inside and/ or outside the cockpit, the examiner shall cause realistic distractions during the flight portion of the practical test to evaluate the applicant’s ability to divide attention while maintaining safe flight. During flight training, there must always be a clear understanding between students and flight instructors of who has control of the aircraft. Prior to flight, a briefing should be conducted that includes the procedure for the exchange of flight controls. A positive three-step process in the exchange of flight controls between pilots is a proven procedure and one that is strongly recommended. When the instructor wishes the student to take control of the aircraft, he or she will say, “You have the flight controls.” The student acknowledges immediately by saying, “I have the flight controls.” The flight instructor again says, “You have the flight controls.” When control is returned to the instructor, follow the same procedure. A visual check is recommended to verify that the exchange has occurred. There should never by any doubt as to who is flying the aircraft. I. AREA OF OPERATION: PREFLIGHT PREPARATION NOTE: The examiner shall develop a scenario based on real time weather to evaluate TASKs C and D.
a. private pilot certificate privileges, limitations, and recent flight experience requirements. b. medical certificate class and duration. c. pilot logbook or flight records. 2. Locating and explaining— a. airworthiness and registration certificates. b. operating limitations, placards, instrument markings, and POH/ AFM. c. weight and balance data and equipment list. B. TASK: AIRWORTHINESS REQUIREMENTS (ASEL and ASES) REFERENCES: 14 CFR part 91; AC 61-23/ FAA-H-8083-25. 1. Explaining— a. required instruments and equipment for day/ night VFR. b. procedures and limitations for determining airworthiness of the airplane with inoperative instruments and equipment with and without an MEL. c. requirements and procedures for obtaining a special flight permit. a. METAR, TAF, and FA. b. surface analysis chart. c. radar summary chart. d. winds and temperature aloft chart. e. significant weather prognostic charts. f. convective outlook chart. g. AWOS, ASOS, and ATIS reports. 2. Makes a competent “go/ no-go” decision based on available weather information. D. TASK: CROSS-COUNTRY FLIGHT PLANNING (ASEL and ASES) REFERENCES: 14 CFR part 91; AC 61-23/ FAA-H-8083-25, AC 61-84; Navigation Charts; A/ FD; AIM. 1. Exhibits knowledge of the elements related to cross-country flight planning by presenting and explaining a pre-planned VFR cross-country flight, as previously assigned by the examiner. On the day of the practical test, the final flight plan shall be to the first fuel stop, based on maximum allowable passengers, baggage, and/ or cargo loads using real-time weather. 4. Selects easily identifiable en route checkpoints. 7. Selects appropriate navigation system/ facilities and communication frequencies. 8. Applies pertinent information from NOTAMs, AF/ D, and other flight publications. E. TASK: NATIONAL AIRSPACE SYSTEM (ASEL and ASES) REFERENCES: 14 CFR parts 71, 91; Navigation Charts; AIM. 1. 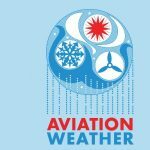 Basic VFR weather minimums— for all classes of airspace. a. Class A. b. Class B. c. Class C. d. Class D. e. Class E. f. Class G.
3. Special use and other airspace areas. F. TASK: PERFORMANCE AND LIMITATIONS (ASEL and ASES) REFERENCES: AC 61-23/ FAA-H-8083-25, FAA-H-8083-1, AC 61-84, POH/ AFM. 1. Exhibits knowledge of the elements related to performance and limitations by explaining the use of charts, tables, and data to determine performance and the adverse effects of exceeding limitations. 2. Computes weight and balance. Determines the computed weight and center of gravity is within the airplane’s operating limitations and if the weight and center of gravity will remain within limits during all phases of flight. 3. Demonstrates use of the appropriate performance charts, tables, and data. G. TASK: OPERATION OF SYSTEMS (ASEL and ASES) REFERENCES: AC 61-23/ FAA-H-8083-25; POH/ AFM. Objective. To determine that the applicant exhibits knowledge of the elements related to the operation of systems on the airplane provided for the flight test by explaining at least three (3) of the following systems. 9. Pitot-static vacuum/ pressure and associated flight instruments. J. TASK: AEROMEDICAL FACTORS (ASEL and ASES) REFERENCES: AC 61-23/ FAA-H-8083-25; AIM. a. hypoxia. b. hyperventilation. c. middle ear and sinus problems. d. spatial disorientation. e. motion sickness. f. carbon monoxide poisoning. g. stress and fatigue. h. dehydration. 2. The effects of alcohol, drugs, and over-the-counter medications. 3. The effects of excesses nitrogen during scuba dives upon a pilot or passenger in flight. II. AREA OF OPERATION: PREFLIGHT PROCEDURES A. TASK: PREFLIGHT INSPECTION (ASEL and ASES) REFERENCES: FAA-H-8083-3; POH/ AFM. 1. Exhibits knowledge of the elements related to preflight inspection. This shall include which items must be inspected, the reasons for checking each item, and how to detect possible defects. 2. Inspects the airplane with reference to an appropriate checklist. 3. Verifies the airplane is in condition for safe flight. B. TASK: COCKPIT MANAGEMENT (ASEL and ASES) REFERENCES: FAA-H-8083-3; POH/ AFM. 1. Exhibits knowledge of the elements related to cockpit management procedures. 2. Ensures all loose items in the cockpit and cabin are secured. 3. Organizes material and equipment in an efficient manner so they are readily available. 4. Briefs occupants on the use of safety belts, shoulder harnesses, doors, and emergency procedures. C. TASK: ENGINE STARTING (ASEL and ASES) REFERENCES: FAA-H-8083-3, AC 61-23/ FAA-H-8083-25, AC 91-13, AC 91-55; POH/ AFM. 1. Exhibits knowledge of the elements related to recommended engine starting procedures. This shall include the use of an external power source, hand propping safety, and starting under various atmospheric conditions. 2. Positions the airplane properly considering structures, surface conditions, other aircraft, and the safety of nearby persons and property. 3. Utilizes the appropriate checklist for starting procedure. D. TASK: TAXIING (ASEL) REFERENCES: FAA-H-8083-3; POH/ AFM. 1. Exhibits knowledge of the elements related to safe taxi procedures. 2. Performs a brake check immediately after the airplane begins moving. 3. Positions the flight controls properly for the existing wind conditions. 4. Controls direction and speed without excessive use of brakes. 5. Complies with airport/ taxiway markings, signals, ATC clearances, and instructions. 6. Taxies so as to avoid other aircraft and hazards. F. TASK: BEFORE TAKEOFF CHECK (ASEL and ASES) REFERENCES: FAA-H-8083-3; POH/ AFM. 1. Exhibits knowledge of the elements related to the before takeoff check. This shall include the reasons for checking each item and how to detect malfunctions. 2. Positions the airplane properly considering other aircraft/ vessels, wind and surface conditions. 4. Ensures that engine temperature and pressure are suitable for run-up and takeoff. 5. Accomplishes the before takeoff checklist and ensures the airplane is in safe operating condition. 6. Reviews takeoff performance airspeeds, takeoff distances, departure, and emergency procedures. REFERENCES: 14 CFR part 91; AC 61-23/ FAA-H-8083-25; AIM. 1. Exhibits knowledge of the elements related to radio communications and ATC light signals. 4. Acknowledges radio communications and complies with instructions. B. TASK: TRAFFIC PATTERNS (ASEL and ASES) REFERENCES: FAA-H-8083-3, AC 61-23/ FAA-H-8083-25, AC 90-66; AIM. 1. Exhibits knowledge of the elements related to traffic patterns. This shall include procedures at airports with and without operating control towers, prevention of runway incursions, collision avoidance, wake turbulence avoidance, and wind shear. 2. Complies with proper traffic pattern procedures. 3. Maintains proper spacing from other aircraft. 4. Corrects for wind drift to maintain the proper ground track. 5. Maintains orientation with the runway/ landing area in use. 6. Maintains traffic pattern altitude, ±100 feet (30 meters), and the appropriate airspeed, ±10 knots. REFERENCES: AC 61-23/ FAA-H-8083-25; AIM. 1. Exhibits knowledge of the elements related to airport/ seaplane base, runway, and taxiway operations with emphasis on runway incursion avoidance. NOTE: If a crosswind condition does not exist, the applicant’s knowledge of crosswind elements shall be evaluated through oral testing. 1. Exhibits knowledge of the elements related to a normal and crosswind takeoff, climb operations, and rejected takeoff procedures. 2. Positions the flight controls for the existing wind conditions. 3. Clears the area; taxies into the takeoff position and aligns the airplane on the runway center/ takeoff path. 4. Retracts the water rudders, as appropriate, (ASES) and advances the throttle smoothly to takeoff power. 5. Establishes and maintains the most efficient planing/ lift-off attitude and corrects for porpoising and skipping (ASES). 6. Lifts off at the recommended airspeed and accelerates to V Y . 7. Establishes a pitch attitude that will maintain V Y +10/-5 knots. 8. Retracts the landing gear, if appropriate, and flaps after a positive rate of climb is established. 9. Maintains takeoff power and V Y +10/-5 knots to a safe maneuvering altitude. 10. Maintains directional control and proper wind-drift correction throughout the takeoff and climb. 11. Complies with noise abatement procedures. 1. Exhibits knowledge of the elements related to a normal and crosswind approach and landing. 2. Adequately surveys the intended landing area (ASES). 3. Considers the wind conditions, landing surface, obstructions, and selects a suitable touchdown point. 4. Establishes the recommended approach and landing configuration and airspeed, and adjusts pitch attitude and power as required. 5. Maintains a stabilized approach and recommended airspeed, or in its absence, not more than 1.3 V SO , +10/-5 knots, with wind gust factor applied. 6. Makes smooth, timely, and correct control application during the roundout and touchdown. 7. Contacts the water at the proper pitch attitude (ASES). 8. Touches down smoothly at approximate stalling speed (ASEL). 9. Touches down at or within 400 feet (120 meters) beyond a specified point, with no drift, and with the airplane’s longitudinal axis aligned with and over the runway center/ landing path. 10. Maintains crosswind correction and directional control throughout the approach and landing sequence. C. TASK: SOFT-FIELD TAKEOFF AND CLIMB (ASEL) REFERENCES: FAA-H-8083-3; POH/ AFM. 1. Exhibits knowledge of the elements related to a soft-field takeoff and climb. 2. Positions the flight controls for existing wind conditions and to maximize lift as quickly as possible. 3. Clears the area; taxies onto the takeoff surface at a speed consistent with safety without stopping while advancing the throttle smoothly to takeoff power. 4. Establishes and maintains a pitch attitude that will transfer the weight of the airplane from the wheels to the wings as rapidly as possible. 5. Lifts off at the lowest possible airspeed and remains in ground effect while accelerating to V X or V Y , as appropriate. 6. Establishes a pitch attitude for V X or V Y , as appropriate, and maintains selected airspeed +10/-5 knots, during the climb. 7. Retracts the landing gear, if appropriate, and flaps after clear of any obstacles or as recommended by the manufacturer. 8. Maintains takeoff power and V X or V Y +10/-5 knots to a safe maneuvering altitude. 9. Maintains directional control and proper wind-drift correction throughout the takeoff and climb. D. TASK: SOFT-FIELD APPROACH AND LANDING (ASEL) REFERENCES: FAA-H-8083-3; POH/ AFM. 2. Considers the wind conditions, landing surface and obstructions, and selects the most suitable touchdown area. 3. Establishes the recommended approach and landing configuration, and airspeed; adjusts pitch attitude and power as required. 4. Maintains a stabilized approach and recommended airspeed, or in its absence not more than 1.3 V SO , +10/-5 knots, with wind gust factor applied. 5. Makes smooth, timely, and correct control application during the roundout and touchdown. 6. Touches down softly with no drift, and with the airplane’s longitudinal axis aligned with the runway/ landing path. 7. Maintains crosswind correction and directional control throughout the approach and landing sequence. 8. Maintains proper position of the flight controls and sufficient speed to taxi on the soft surface. 1. Exhibits knowledge of the elements related to a short-field (confined area ASES) takeoff and maximum performance climb. 2. Positions the flight controls for the existing wind conditions; sets the flaps as recommended. 3. Clears the area; taxies into takeoff position utilizing maximum available takeoff area and aligns the airplane on the runway center/ takeoff path. 5. Applies brakes (if appropriate), while advancing the throttle smoothly to takeoff power. 6. Establishes and maintains the most efficient planing/ lift-off attitude and corrects for porpoising and skipping (ASES). 7. Lifts off at the recommended airspeed, and accelerates to the recommended obstacle clearance airspeed or V X. 8. Establishes a pitch attitude that will maintain the recommended obstacle clearance airspeed, or V X, +10/-5 knots, until the obstacle is cleared, or until the airplane is 50 feet (20 meters) above the surface. 9. After clearing the obstacle, establishes the pitch attitude for V Y , accelerates to V Y , and maintains V Y , +10/-5 knots, during the climb. 10. Retracts the landing gear, if appropriate, and flaps after clear of any obstacles or as recommended by manufacturer. 11. Maintains takeoff power and V Y +10/-5 to a safe maneuvering altitude. 12. Maintains directional control and proper wind-drift correction throughout the takeoff and climb. 1. Exhibits knowledge of the elements related to a short-field (confined area ASES) approach and landing. 3. Considers the wind conditions, landing surface, obstructions, and selects the most suitable touchdown point. 4. Establishes the recommended approach and landing configuration and airspeed; adjusts pitch attitude and power as required. 5. Maintains a stabilized approach and recommended approach airspeed, or in its absence not more than 1.3 V SO , +10/-5 knots, with wind gust factor applied. 7. Selects the proper landing path, contacts the water at the minimum safe airspeed with the proper pitch attitude for the surface conditions (ASES). 8. Touches down smoothly at minimum control airspeed (ASEL). 9. Touches down at or within 200 feet (60 meters) beyond a specified point, with no side drift, minimum float and with the airplane’s longitudinal axis aligned with and over the runway center/ landing path. 11. Applies brakes, (ASEL) or elevator control (ASEs), as necessary, to stop in the shortest distance consistent with safety. K. TASK: FORWARD SLIP TO A LANDING (ASEL and ASES) REFERENCES: FAA-H-8083-3; POH/ AFM. 1. Exhibits knowledge of the elements related to forward slip to a landing. 2. Considers the wind conditions, landing surface and obstructions, and selects the most suitable touchdown point. 3. Establishes the slipping attitude at the point from which a landing can be made using the recommended approach and landing configuration and airspeed; adjusts pitch attitude and power as required. 4. Maintains a ground track aligned with the runway center/ landing path and an airspeed, which results in minimum float during the roundout. 5. Makes smooth, timely, and correct control application during the recovery from the slip, the roundout, and the touchdown. 6. Touches down smoothly at the approximate stalling speed, at or within 400 feet (120 meters) beyond a specified point, with no side drift, and with the airplane’s longitudinal axis aligned with and over the runway center/ landing path. 8. Completes the appropriate checklist. L. TASK: GO-AROUND/ REJECTED LANDING (ASEL and ASES) REFERENCES: FAA-H-8083-3; POH/ AFM. 1. Exhibits knowledge of the elements related to a go-around/ rejected landing. 2. Makes a timely decision to discontinue the approach to landing. 3. Applies takeoff power immediately and transitions to climb pitch attitude for V Y , and maintains V Y +10/-5 knots. 4. Retracts the flaps as appropriate. 5. Retracts the landing gear, if appropriate, after a positive rate of climb is established. 6. Maneuvers to the side of the runway/ landing area to clear and avoid conflicting traffic. 7. Maintains takeoff power V Y +10/-5 to a safe maneuvering altitude. 8. Maintains directional control and proper wind-drift correction throughout the climb. TASK: STEEP TURNS (ASEL and ASES) REFERENCES: FAA-H-8083-3; POH/ AFM. 2. Establishes the manufacturer’s recommended airspeed or if one is not stated, a safe airspeed not to exceed V A . 3. Rolls into a coordinated 360° turn; maintains a 45° bank. 4. Performs the task in the opposite direction, as specified by the examiner. 5. Divides attention between airplane control and orientation. VI. AREA OF OPERATION: GROUND REFERENCE MANEUVERS NOTE: The examiner shall select at least one TASK. A. TASK: RECTANGULAR COURSE (ASEL and ASES) REFERENCE: FAA-H-8083-3. 2. Selects a suitable reference area. 1,000 feet AGL (180 to 300 meters) at an appropriate distance from the selected reference area, 45° to the downwind leg. 4. Applies adequate wind-drift correction during straight-and-turning flight to maintain a constant ground track around the rectangular reference area. 5. Divides attention between airplane control and the ground track while maintaining coordinated flight. 6. Maintains altitude, ±100 feet (30 meters); maintains airspeed, ±10 knots. B. TASK: S-TURNS (ASEL and ASES) REFERENCE: FAA-H-8083-3. 1. Exhibits knowledge of the elements related to S-turns. 2. Selects a suitable ground reference line. 3. Plans the maneuver so as to enter at 600 to 1,000 feet (180 to 300 meters) AGL, perpendicular to the selected reference line. 4. Applies adequate wind-drift correction to track a constant radius turn on each side of the selected reference line. 5. Reverses the direction of turn directly over the selected reference line. 6. Divides attention between airplane control and the ground track while maintaining coordinated flight. C. TASK: TURNS AROUND A POINT (ASEL and ASES) REFERENCE: FAA-H-8083-3. 2. Selects a suitable ground reference point. (180 to 300 meters) AGL, at an appropriate distance from the reference point. A. TASK: PILOTAGE AND DEAD RECKONING (ASEL and ASES) REFERENCES: AC 61-23/ FAA-H-8083-25. 1. Exhibits knowledge of the elements related to pilotage and dead reckoning. 4. Navigates by means of precomputed headings, groundspeeds, and elapsed time. 5. 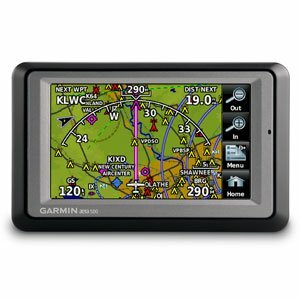 Corrects for and records the differences between preflight groundspeed and heading calculations and those determined en route. 6. Verifies the airplane’s position within three (3) nautical miles of the flight-planned route. 7. Arrives at the en route checkpoints within five (5) minutes of the initial or revised ETA and provides a destination estimate. 8. Maintains the appropriate altitude, ±200 feet (60 meters) and headings, ±15°. REFERENCES: FAA-H-8083-3, AC 61-23/ FAA-H-8083-25; Navigation Equipment Operation Manuals, AIM. 1. Exhibits knowledge of the elements related to navigation systems and radar services. 2. Demonstrates the ability to use an airborne electronic navigation system. 3. Locates the airplane’s position using the navigation system. 4. Intercepts and tracks a given course, radial or bearing, as appropriate. 5. Recognizes and describes the indication of station passage, if appropriate. 6. Recognizes signal loss and takes appropriate action. 7. Uses proper communication procedures when utilizing radar services. C. TASK: DIVERSION (ASEL and ASES) REFERENCES: AC 61-23/ FAA-H-8083-25; AIM. 2. Selects an appropriate alternate airport and route. 3. Makes an accurate estimate of heading, groundspeed, arrival time, and fuel consumption to the alternate airport. 4. Maintains the appropriate altitude, ±200 feet (60 meters) and heading, ±15°. D. TASK: LOST PROCEDURES (ASEL and ASES) REFERENCES: AC 61-23/ FAA-H-8083-25; AIM. 3. Maintains an appropriate heading and climbs, if necessary. A. TASK: MANEUVERING DURING SLOW FLIGHT (ASEL and ASES) REFERENCES: FAA-H-8083-3; POH/ AFM. 1. Exhibits knowledge of the elements related to maneuvering during slow flight. 2. Selects an entry altitude that will allow the task to be completed no lower than 1,500 feet (460 meters) AGL. 3. Establishes and maintains an airspeed at which any further increase in angle of attack, increase in load factor, or reduction in power, would result in an immediate stall. 4. Accomplishes coordinated straight-and-level flight, turns, climbs, and descents with landing gear and flap configurations specified by the examiner. B. TASK: POWER-OFF STALLS (ASEL and ASES) REFERENCES: FAA-H-8083-3, AC 61-67; POH/ AFM. 1. Exhibits knowledge of the elements related to power-off stalls. 2. Selects an entry altitude that allows the task to be completed no lower than 1,500 feet (460 meters) AGL. 3. Establishes a stabilized descent in the approach or landing configuration, as specified by the examiner. 4. Transitions smoothly from the approach or landing attitude to a pitch attitude that will induce a stall. 5. Maintains a specified heading, ±10°, in straight flight; maintains a specified angle of bank not to exceed 20°, ±10°; in turning flight, while inducing the stall. 6. Recognizes and recovers promptly after the stall occurs by simultaneously reducing the angle of attack, increasing power to maximum allowable, and leveling the wings to return to a straight-and- level flight attitude with a minimum loss of altitude appropriate for the airplane. 7. Retracts the flaps to the recommended setting; retracts the landing gear, if retractable, after a positive rate of climb is established. NOTE: In some high performance airplanes, the power setting may have to be reduced below the practical test standards guideline power setting to prevent excessively high pitch attitudes (greater than 30° nose up). REFERENCES: FAA-H-8083-3, AC 61-67; POH/ AFM. 1. Exhibits knowledge of the elements related to power-on stalls. 3. Establishes the takeoff or departure configuration. Sets power to no less than 65 percent available power. 4. Transitions smoothly from the takeoff or departure attitude to the pitch attitude that will induce a stall. 5. Maintains a specified heading, ±10°, in straight flight; maintains a specified angle of bank not to exceed 20°, ±10°, in turning flight, while inducing the stall. 6. Recognizes and recovers promptly after the stall occurs by simultaneously reducing the angle of attack, increasing power as appropriate, and leveling the wings to return to a straight-and-level flight attitude with a minimum loss of altitude appropriate for the airplane. 7. Retracts the flaps to the recommended setting; retracts the landing gear if retractable, after a positive rate of climb is established. 8. Accelerates to V X or V Y speed before the final flap retraction; returns to the altitude, heading, and airspeed specified by the examiner. D. TASK: SPIN AWARENESS (ASEL and ASES) REFERENCES: FAA-H-8083-3, AC 61-67; POH/ AFM. 1. Aerodynamic factors related to spins. 2. Flight situations where unintentional spins may occur. IX. AREA OF OPERATION: BASIC INSTRUMENT MANEUVERS NOTE: The examiner shall select task E and at least two other TASKs. A. TASK: STRAIGHT-AND-LEVEL FLIGHT (ASEL and ASES) REFERENCES: FAA-H-8083-3, FAA-H-8083-15. 1. Exhibits knowledge of the elements related to attitude instrument flying during straight-and-level flight. 2. Maintains straight-and-level flight solely by reference to instruments using proper instrument cross-check and interpretation, and coordinated control application. 3. Maintains altitude, ±200 feet (60 meters); heading, ±20°; and airspeed, ±10 knots. B. TASK: CONSTANT AIRSPEED CLIMBS (ASEL and ASES) REFERENCES: FAA-H-8083-3, FAA-H-8083-15. 1. Exhibits knowledge of the elements related to attitude instrument flying during constant airspeed climbs. 2. Establishes the climb configuration specified by the examiner. 3. Transitions to the climb pitch attitude and power setting on an assigned heading using proper instrument cross-check and interpretation, and coordinated control application. 4. Demonstrates climbs solely by reference to instruments at a constant airspeed to specific altitudes in straight flight and turns. 5. Levels off at the assigned altitude and maintains that altitude, ±200 feet (60 meters); maintains heading, ±20°; maintains airspeed, ±10 knots. C. TASK: CONSTANT AIRSPEED DESCENTS (ASEL and ASES) REFERENCES: FAA-H-8083-3, FAA-H-8083-15. 1. Exhibits knowledge of the elements related to attitude instrument flying during constant airspeed descents. 2. Establishes the descent configuration specified by the examiner. 3. Transitions to the descent pitch attitude and power setting on an assigned heading using proper instrument cross-check and interpretation, and coordinated control application. 4. Demonstrates descents solely by reference to instruments at a constant airspeed to specific altitudes in straight flight and turns. D. TASK: TURNS TO HEADINGS (ASEL and ASES) REFERENCES: FAA-H-8083-3, FAA-H-8083-15. 1. Exhibits knowledge of the elements related to attitude instrument flying during turns to headings. 2. Transitions to the level-turn attitude using proper instrument cross-check and interpretation, and coordinated control application. 3. Demonstrates turns to headings solely by reference to instruments; maintains altitude, ±200 feet (60 meters); maintains a standard rate turn and rolls out on the assigned heading, ± 10°; maintains airspeed, ±10 knots. 1. Exhibits knowledge of the elements related to attitude instrument flying during unusual attitudes. REFERENCES: FAA-H-8083-3, FAA-H-8083-15, AC 61-23/ FAA-H-8083-25. 1. Exhibits knowledge of the elements related to radio communications, navigation systems/ facilities, and radar services available for use during flight solely by reference to instruments. 2. Selects the proper frequency and identifies the appropriate facility. 3. Follows verbal instructions and/ or navigation systems/ facilities for guidance. 4. Determines the minimum safe altitude. 1. Exhibits knowledge of the elements related to emergency approach and landing procedures. 2. Analyzes the situation and selects an appropriate course of action. 3. Establishes and maintains the recommended best-glide airspeed, ±10 knots. 4. Selects a suitable landing area. 5. Plans and follows a flight pattern to the selected landing area considering altitude, wind, terrain, and obstructions. 6. Prepares for landing, or go-around, as specified by the examiner. 1. Exhibits knowledge of the elements related to system and equipment malfunctions appropriate to the airplane provided for the practical test. a. partial or complete power loss. b. engine roughness or overheat. c. carburetor or induction icing. d. loss of oil pressure. e. fuel starvation. f. electrical malfunction. g. vacuum/ pressure, and associated flight instruments malfunction. h. pitot/ static. i. landing gear or flap malfunction. j. inoperative trim. k. inadvertent door or window opening. l. structural icing. m. smoke/ fire/ engine compartment fire. n. any other emergency appropriate to the airplane. 3. Follows the appropriate checklist or procedure. XI. AREA OF OPERATION: NIGHT OPERATION TASK: NIGHT PREPARATION (ASEL and ASES) REFERENCES: FAA-H-8083-3, AC 61-23/ FAA-H-8083-25, AC 67-2; AIM, POH/ AFM. 1. Physiological aspects of night flying as it relates to vision. 2. Lighting systems identifying airports, runways, taxiways and obstructions, and pilot controlled lighting. 4. Personal equipment essential for night flight. 5. Night orientation, navigation, and chart reading techniques. XII. AREA OF OPERATION: POSTFLIGHT PROCEDURES NOTE: The examiner shall select TASK A and for ASES applicants at least one other TASK. 1. Exhibits knowledge of the elements related to after landing, parking and securing procedures. 2. Maintains directional control after touchdown while decelerating to an appropriate speed. 3. Observes runway hold lines and other surface control markings and lighting. 4. Parks in an appropriate area, considering the safety of nearby persons and property. 5. Follows the appropriate procedure for engine shutdown. 6. Completes the appropriate checklist. 7. Conducts an appropriate postflight inspection and secures the aircraft.